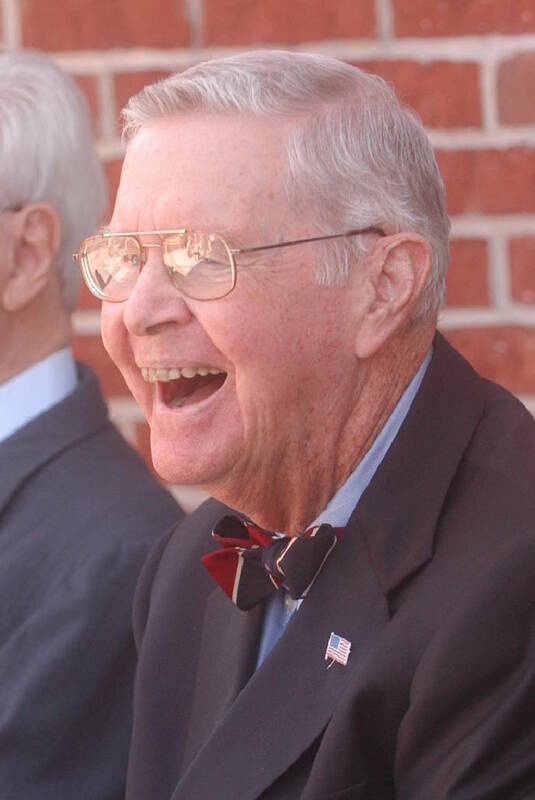 Scott L. "Scotty" Probasco Jr.
Scott L. "Scotty" Probasco Jr., businessman and philanthropist, died Friday night. Probasco, who was a cheerleader in college at Dartmouth, was also a long-time cheerleader for Chattanooga and many of its philanthropies. He was famous for his encouraging "Great Work!" cheer offered during many of the fundraising campaigns the long-time banker and community activist worked to support. His grandfather, Harry Scott Probasco (1858-1919), founded the American National Bank, which was later sold to the Third National Bank of Nashville and then merged with SunTrust Bank of Atlanta. Probasco was born in Chattanooga, attended the Baylor School, where he played on the golf team. He graduated from Dartmouth College and attended the Wharton School of the University of Pennsylvania. He considered becoming a preacher, but joined the family banking business instead. Probasco served as the chair of the executive committee of SunTrust Bank in Chattanooga until his retirement. During his career, he also has served on the boards of Chattem Inc., Provident Life and Accident Insurance Co., and Coca-Cola Enterprises, in addition to a variety of local community groups including Allied Arts, the United Way, the Greater Chattanooga Area Chamber of Commerce, the University of Chattanooga Foundation, the Benwood Foundation, Bethel Bible Village, the UT Development Council, among other local groups. He attended First Presbyterian Church. He is survived by his wife, Betty Probasco, and their four children.